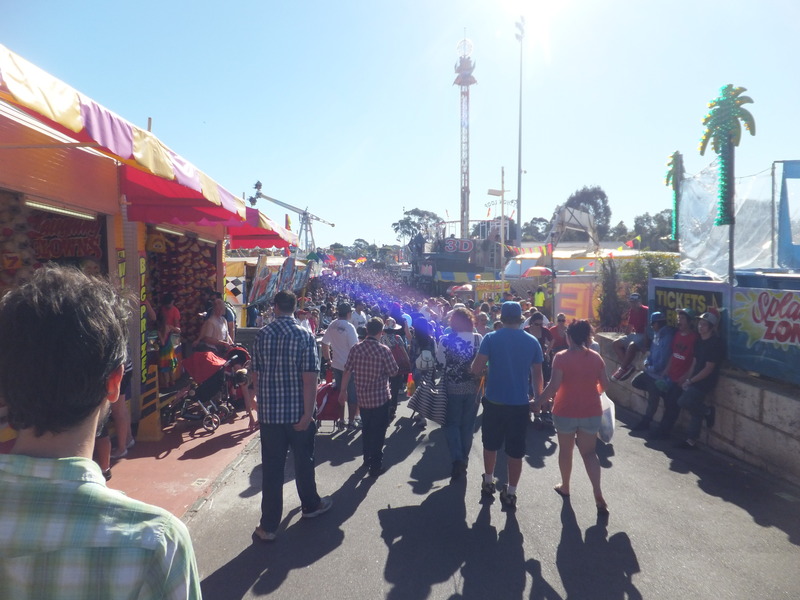 Today we went to the Royal Show. It’s kind of become some sort of tradition. Yes, it’s tacky and expensive and kinda lame, but I can’t help but love it. It was a beautiful day, 28 degrees and the crowds were big. We brought some snacks with us for lunch, but at dinner time, the joy of eating show food was upon us. 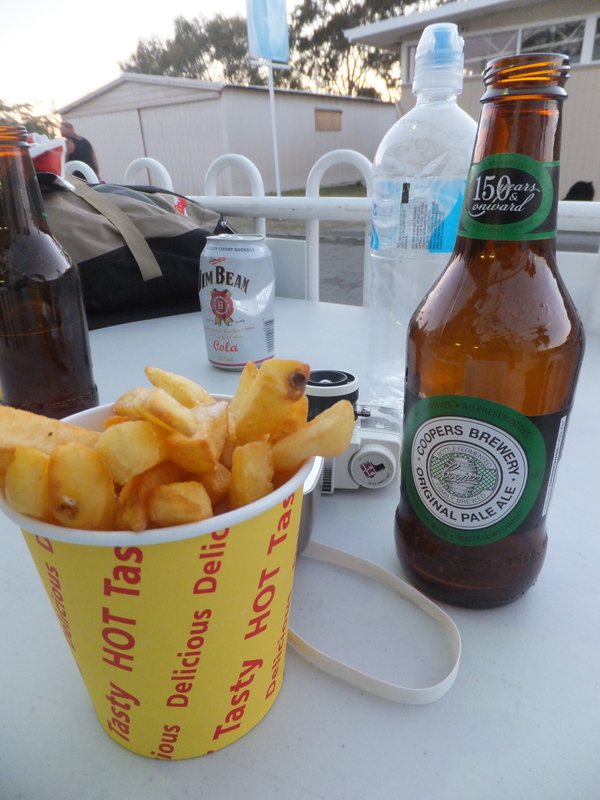 First up for appetizer’s we had a bucket of chips to go with our afternoon beers. From the tape playing on loop over the loud speaker, we were promised chips that were hot and crispy. Unfortunatly, they were neither of these. Warm & soggy would be more apt. 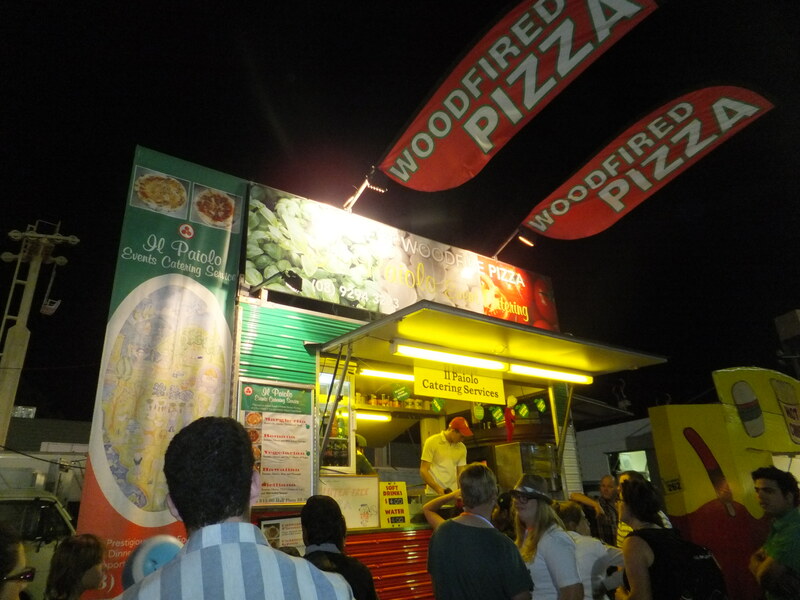 For mains, we tried our chances with a wood fired pizza. Although, they did say they had gluten free options available, I opted for the normal type, thinking the gluten free bases were probably pre made/frozen or some such thing. 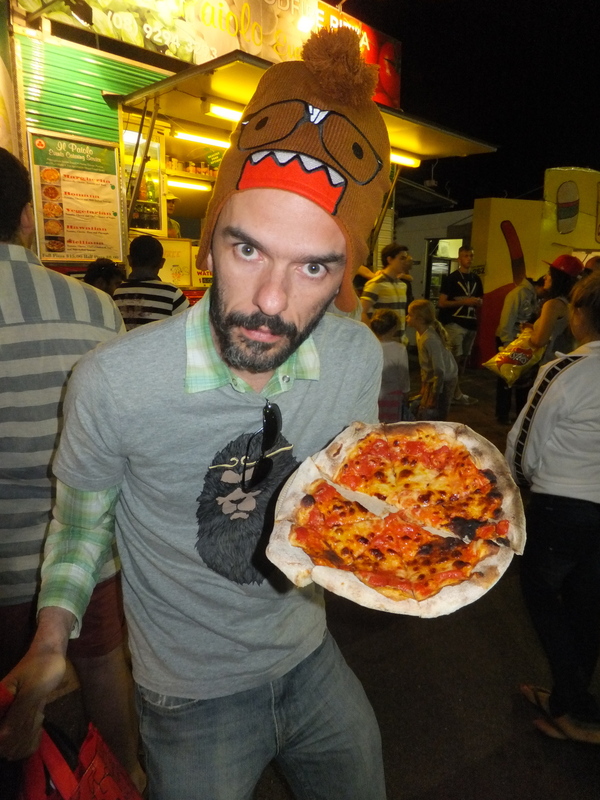 Here’s Steve displaying our pizza. We opted for a simple Margherita pizza. And, you know what? It was actually really good. 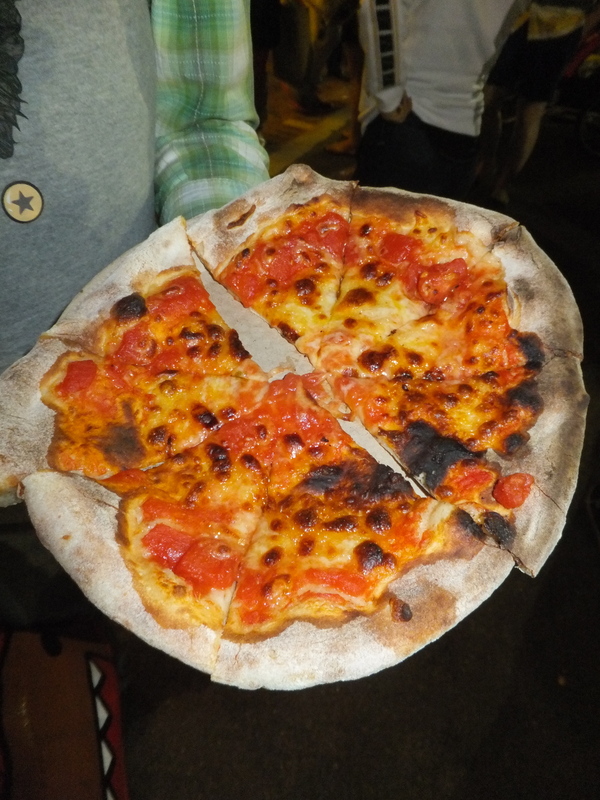 It was freshly cooked in a wood fired oven and was very tasty. 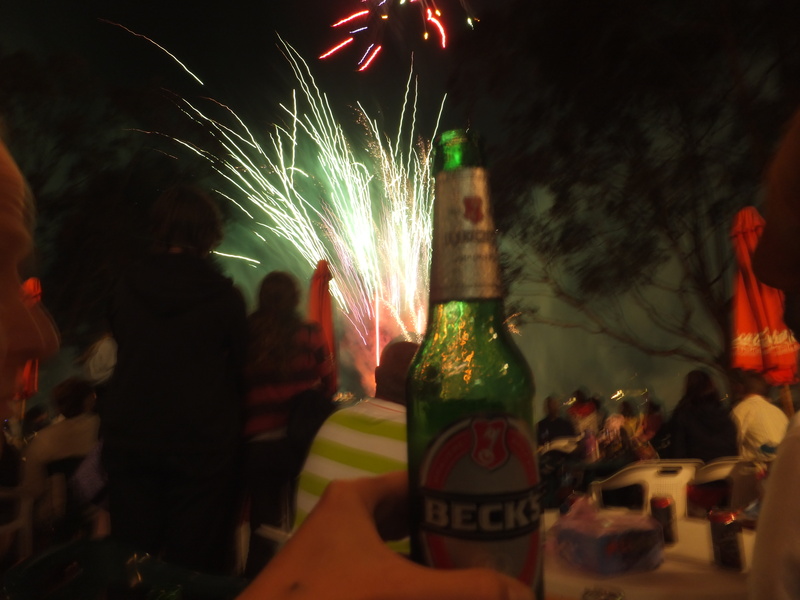 And then we had beers and watched the fireworks. A good time was had by all. See you again next year!